“I think we have done very well with regards to North Korea,” he told the press as he met with Moon Jae-in, the South Korean president, on the margins of the United Nations General Assembly in New York on Monday. His positive statement followed a three-day meeting last week between the South and North Korean leaders in Pyongyang, during which Kim agreed to shut down a key missile test facility and to possibly destroy the country’s main nuclear complex in return for unspecified reciprocal US measures. 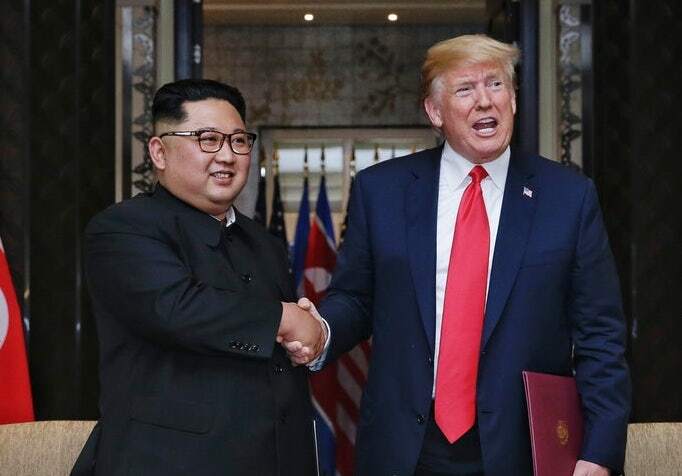 Trump’s mention of a second summit confirmed that Kim’s concessions, although minor, were enough to overcome a recent stalemate between Washington and Pyongyang over the progress of denuclearisation. The US president held his first historic meeting with Kim Jong-un in Singapore in June but the details of their agreement over disarmament were vague, with no timeline or indication on how the steps towards denuclearisation would be achieved or verified. In the months since the Singapore summit, talks have faltered over North Korea’s unwillingness to start dismantling its nuclear weapons programme without first having firmer security guarantees from Washington. Speaking at the UN headquarters in New York, Mr Trump said that Mike Pompeo, the US secretary of state would arrange the next summit “in the immediate future”. “Make no mistake, the conversations that we’re having now are important. They’re putting the opportunity to complete the denuclearisation in place,” Mr Pompeo told reporters.